Home Improvement Loan. Do you know this? The growing popularity of home loan is very well known, the fact that banks are now laced with customer-friendly policies has made it very easy for people to buy their dream home. Home improvement loan is one such much needed loan to fulfil the rest of the needs of the home. Well, home buying comes with a lot of other responsibilities like maintaining the home, taking care of the internal and external fittings etc. all these steps are necessary to keep your home safe and new. Similar to any product that you use, your home also needs an upgradation, improvement, and maintenance. However, managing the funds for the same in one go is not easy especially for those who are already paying the monthly EMIs for the house; car and other policies. For such people, banks now have the provision of Home Improvement Loan. As the name suggest, Home Improvement Loans are availed to construct a new floor in the house or get a repair done or in case you want to renovate your house . Home Improvement Loans works similar to home loans. It can be taken for a period of 10-15 years or more (depends on your pocket and banks from where you are availing the loan) and pay back the amount in the form of EMIs. Apart from the major construction or other work done in the house, these loans are also beneficial for things like electrical wiring, bathroom fittings, furniture etc. Inclusions : Home improvement loan can be taken for construction and renovation work like building another floor ,making a new balcony, flooring work , plumbing, electrical work, painting, bathroom fittings or exterior elevations. Exclusions: Home improvement loan is not sanctioned by the bank if you are buying consumer durable goods, like buying a new kitchen cabinet or a new wardrobe. Any homeowner who is willing to renovate or construct in his/her house is eligible to apply for home improvement loan. You can apply for home improvement loan jointly with the co-owner. The minimum age to apply for home improvement loan is 21 years and the maximum limit is your retirement age i.e. 65 years. Even companies can apply for this loan but the company should be making profits in the last few years. Those who have already availed home loan from bank, if you apply for home improvement loan from the same bank, the bank considers the total loan amount applied (this is inclusive of new application). The total sanctioned amount is not more than 85% (outstanding amiunt as well as new sanctioned amount together). In order to apply for home improvement loan, the borrower has to make a rough estimate of the renovation work and has to submit it with the bank. In the case of extension work, the approval plan also needs to be submitted in the bank. Once the estimate is submitted in the bank, the banks carry out the physical verification which includes taking the measurement, pictures of the house to correlate with amount submitted for a loan. Once the verification process is done and bank approves your application, the loan is disbursed. What if you don’t have a home loan? Home improvement loan is not restricted to those who have availed home loan, for those who want to start a fresh, you don’t have to worry; you have to follow a similar procedure of a home loan to avail and approval of the home improvement loan. Submit all the income and property documents to get your loan sanctioned. The processing fee of home improvement loan ranges between .5% -.75%. Personal Loan – Well, you can opt for a personal loan as well. People in a hurry to avoid a lot of procedures and paperwork avoid getting the process of home improvement loan and plan to avail the personal loan. Although it is a bit easier but at the same time it can be a bit heavy on your pocket primarily because personal loan comes with a higher interest rate. On the other hand, home improvement loan’s interest rates are cheaper and it is considered to be more secure as compared to the personal loan. Top –up loan – You can also opt for a top-up loan. If you already have a home loan you can take a top-up loan on this. But an important point to note here is that this loan can be taken only after a certain number of years of your home loan. Most of the banks mention the number of years between 3 to 6. The interest rate is base rate plus some percentage. If a bank has offered the home loan at an interest rate of 10 % and you apply for a top-up loan, then your top-up loan interest amount will be 11.25%. The top-up loan is cheaper than a personal loan. Top-up loans are sanctioned for 70% of the total property value but this may vary as per the market value and the borrower’s ability to repay the loan. A processing fee of top-up loan is between .5 %-.75% of the loan amount. We hope this would have enlightened you with the right option if you are looking for renovating your house. For the same and any other home loan related queries and needs, you can log on to our portal www.loanyantra.com and we will assist you with the best option to make your home buying an easy one. Author keerthiPosted on March 22, 2018 March 23, 2018 Categories LoanyantraLeave a comment on Home Improvement Loan. Do you know this? Having a home and a car is one of the glorious milestones of life. Thanks to the advent of various financial institutions and banking systems which offer car loans, it has become very easy for people to fulfil their dreams of owning a car. We all want that shiny little set of wheels standing in the parking place of our house. Well, with the help of car loans you can easily fulfil your dreams now. All the private and public sector financial institutions in India offer car loan. Similar to another loan, you need to submit documents like ID proof, income proof, and credit history to qualify the bank’s eligibility criteria and avail the car loan. Aadhar card is mandatory. Some people dread loan. They don’t want to get trapped in the web of EMIs but, banks and financial institutions have come up with customer-friendly policies which make availing car loan stress and hassle-free process. We all know that cars come with a hefty cost, car loans have emerged as an easy way to buy a car. A massive purchase like buying a car with cash can make you come in the radar of Income Tax department. Furthermore, you might lose an opportunity to build up credit history which may later be used to avail home loan. Here are few other sets of benefits which car loan has to offer and make you choose it. With the help of car loan, you can buy a better car than the one which fits your budget. You can quickly buy the car with the help of car loan, which otherwise would be difficult if you want to buy it by arranging the money. You can manage the cost of purchase by distributing it across a longer duration regarding EMI. This makes it easy for you to pay back for the loan without affecting your pocket too much. Car loans in India are mostly secured which means the car serves as a security for the loan. Thus, posing a little financial risk to you. Availing car loan is simple. Car loans are often based on fixed interest rate when it comes to EMIs. It means that you have a fixed amount that has to be given every month. It ensures that you can plan your monthly budget. The repayment tenure of car loan ranges from 5 years to 10 years. Thus, if you are willing to buy a car don’t delay the decision. Contact your bank, and you can open the gateway to bring in your dream car. Booking a cab or Buying a car with car loan. You can book a cab whenever you want to wherever you want. If you are going to office in a cab and weekend getaways are always on a hired car, calculate the amount you spend every month. Instead buy a car where you can afford for the EMI. Car loans come at a very low interest rates. Instead of having the head ache of booking a cab every now and then, buy your favourite car by going for a car loan at a lowest interest rates. Loanynatra.com know to offer loan at the lower interest rates from many lenders. Car loan is important when you go for buying your favourite car. We understand your need. Hence, we keep it simple for you by letting you know the lower interest rates, getting the loan disbursed from your favourite lender. All you need to do is give a missed call to 040-71011991. We will follow the rest. Well, buying a shiny and glamorous four-wheeler is the dream of many individuals. But, in a nation where most of the people in middle class and have restricted source of income, spending the hefty amount in buying a car can be a costly affair. The time has changed, we are now living in a world where banks and financial institutions are offering car loans and car loan interest rates at affordable EMIs. Car loans are not only easy to avail but also a great way to buy a car. However, you must know that car loans interest rates may vary from one bank to another. Apart from this, you must also qualify the eligibility criteria mentioned by the bank to avail car loan. 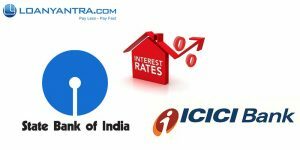 Loanyantra.com, known for the quickest disbursal and fastest process also helps you get loans from your favourite bank at lower interest rates. If you have a home loan, you can easily get a car loan from the same lender and at a lower interest rate. Get more tips and easiest ways from loanyantra.com. Also avail cash back offers on the car loan interest rates. Which is the best way to repay the housing loan faster? Pre-Payment is not the only way to close your loan faster. To close the loans faster we can follow the 3 different methods. I will be giving you a detail advantage of each of the method. Monitor you loans and correct to lower rates when ever possible. This option to be used when you have more monthly savings and want to be debt free faster. Very important here is more monthly savings. Keep the sufficient buffer from your salary for living expenses and additional 10% as the buffer so that you don’t by increasing the EMI later day you don’t have tough time. Increasing the EMI is much better option if you have steady flow of income and if you are planning to save some money and make a part-payment, then mathematically its better to increase the EMI. For example if you have to increase your EMI by Rs 5000 or saving Rs 5000 every month and after 12 months you make a saving of Rs 60,000/- and make a part-payment. Option 1 is better as it would contribute towards principle every month compare to after 1-year. You might be saving at-least extra Rs 2000 more. One important thing to note is , most of the banks allow you to increase your EMI but very few allow you to decrease the EMI amount. So think before you do. This option to used when you have a lump sum amount received in the form on Bonus or when you have sold something and received the amount. Its said to keep things simple and stupid always clear your loans when ever you get a lump sum amounts. One important thing to note is , each bank follows specific rule while receiving the part-payment. In case if you are walking to the branch mostly minimum part-payment should be 1 month EMI. If you are planning to pay via online it might be minimum 3-months EMI. Note each bank has its own policy, so please check. This option can be used if you have availed a special loan product which provides OD facility. Let me explain what is OD Facility for the Loan. If you have availed a 50 Lac loan and say you have got 10 lac as bonus. Now if you transfer the 10 Lac to your Loan OD Account then Interest would be charged for only 40 Lac amount. Now after a 1-year, if you like to withdraw the 10 lac, then you can withdraw the amount as its parked. Then from that day what ever is the principle left, bank will be charging interest on the pending amount. What ever interest you have earned on 10 lac will be adjusted toward the principle. This allows to close the loan faster. 4. Monitor you loans and correct to lower rates when ever possible. This option is least used but most powerful one with very little payment. When ever rates fluctuate one need to compare how his/her interest rate compare to ongoing market rate. In case if you are paying higher rate then ongoing we need to check are you going to really pay higher next change or not before correcting. There can be 2 cases . He is paying higher margin then you. Yes its possible if the MCLR(Base Rate ) is at 8.50% and Margins are at 0.75% then he would still pay 9.25% 0.25% less than you for 1-year. But later after 1-year if the MCLR(Base Rate) changes to 10% then you would be paying 10.50% where as this person is going to pay 10.75%. We are specialised in this process. Avail all services at free of cost. Author Vijayananda ReddyPosted on March 8, 2018 March 8, 2018 Categories LoanyantraLeave a comment on Which is the best way to repay the housing loan faster? Personal loans exclusively from Indiabulls dhani personal loan features quick, easy and fast personal loans. After five years of study, it is stated that the search is majorly from mobiles than from PCs and laptops. So, Indiabulls came up with an innovative personal loan feature known as Indiabulls dhani personal loan. What is Indiabulls dhani personal loan? To make you reach your financial needs with much ease, Indiabulls introduced first of its kind, loans from phone, called Indiabulls dhani personal loan. Do you have an Aadhar card? If yes, then the personal loan is sanctioned and disbursed through your phone to your account. Never miss any of your needs, any of those pending vacation, any of those dream aims. Celebrate your life with this new feature in your phone. Fulfil every dream by attending to it financially within minutes. How does Indiabulls dhani personal loan work? It works in three steps. Download the app in your phone from playstore or app store. Enter your loan amount, aadhar number. Get money in your account instantly. Use your smart phone, know your aadhar number. That’s all you need to know to get maximum Rs. 15 lakhs amount in your account as personal loan. Never leave your dream unfulfilled – As the process is so easy, it just takes seconds to get your dream true. The lean interface leaves the user with quickest experience with fastest loan disbursement. No need to apply your documents. Just enter your aadhar number and get the loan amount disbursed in your account. Personal loans through Loanyantra is the best way out there in the market. Know every detail about every product, every feature about each loan. Loanyantra is known for its customised service with happy feedback. Manage your loan through our dedicated customer relationship manager. Receive market updates and interest rate changes as and when there is a change. All you need to do is just a missed call to 040-71011991. 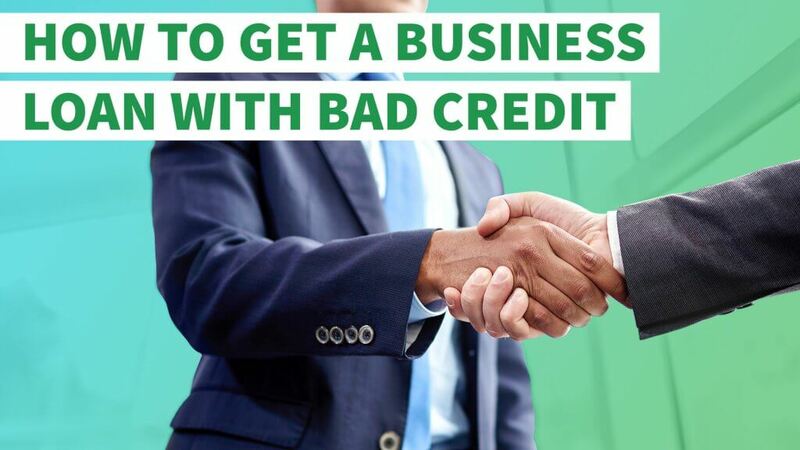 Getting a business loan with bad credit to buy a business is challenging and requires the business to have enough assets to meet the lender needs. Before you jump into applying for loans to buy a business, examine your own credit. You may assume you have bad credit, but it might not be as bad as you think. Take the opportunity to clean up any errors or pay down other debts to improve your credit profile. Personal credit reports are available through any of the three reporting agencies: Experian, Equifax and TransUnion. You can also check with an existing bank or credit card company to see if it offers free credit reports. Review the report for any errors. Contact reporting companies about errors with proof of payment, such as a receipt for having paid a bill on time. If there isn’t much you can change in the report, prepare to explain negative issues on the report, why there was a problem and what you have done to rectify it. If you were ill and out of work for a period of time and were late on payments, an explanation might help during the loan underwriting process. Gather all the financial information about the company you are purchasing. An owner who is reluctant to provide information may be hiding something. Obtain bank records, merchant services, account transactions, inventory numbers, vendor sheets and tax returns. Look back at least two years, longer if possible. Request budget items such as payroll and lease information. Gather any existing debt owed on the business including open lines of credit. You need to know what the business pulls in and what its expenses and liabilities are. Write a business plan detailing the successful history of the business and project the growth out for the next five to seven years. The business plan helps lenders get a real picture of what the loan is used for. Most business loans are unsecured, meaning there is no collateral. All of these records help you and the lender see if there is an asset to tie the loan to – perhaps real property, inventory or merchant receipts. Whether you are starting a new business or buying an existing business, make an appointment to review the entire plan with a Small Business Administration counsellor. This person may be able to improve the plan so it better suits what a lender seeks. The counsellor also has relationships with lenders who specifically provide SBA loans. Whether you go through the SBA or go directly to a bank or credit union, make your package as professional as possible and look like a business owner when you meet with lenders. While you are a customer, lenders view their role more as investors and want to work with professionals. Complete the application and present the entire package as supporting documentation. If you are denied a loan, ask the lender about having a credit partner. A credit partner is a co-signer to the loan, using their positive credit and maybe industry experience as a mentor to the company. 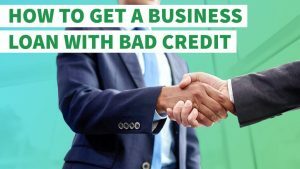 You will probably need to give up a percentage of ownership to get a credit partner, but this might be the only way to establish the credit to buy the business. If you still can’t get a loan, look to private investors within your network or microlenders involved with local economic development agencies in your area. What Loanyantra can do for your business loan? Loan in five minutes. Get to know different bankers, different interest rates. Get a call from them and get customized quotes. Explain your business details completely for business loan. Get credit report and get an analysis done and know your business’s eligibility.